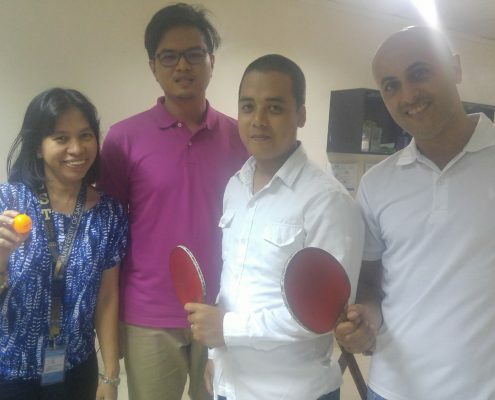 Table tennis—or colloquially called Ping Pong—is a renowned sport around the globe. There are plenty of tournaments that take place in different countries, but LeadYa recently organized and successfully held its own competition that took adrenaline levels to a whole new level. 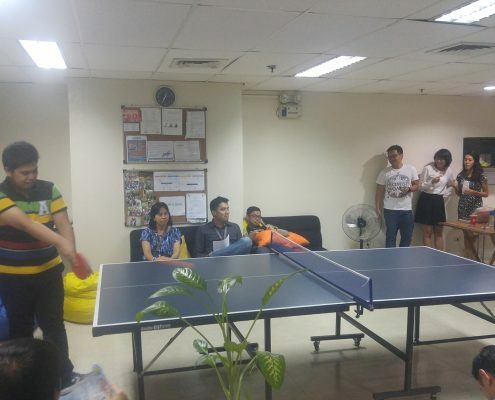 The idea of a company-wide table tennis tournament started with Charles and Moran during one of their first few rallies on the table. 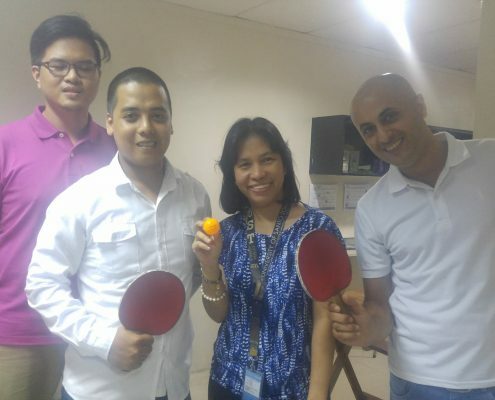 Since the fixture has been a part of the office since the move, they figured that it was a good idea to hold a tournament that will uplift everyone’s competitive spirits. June 2, judgment day. 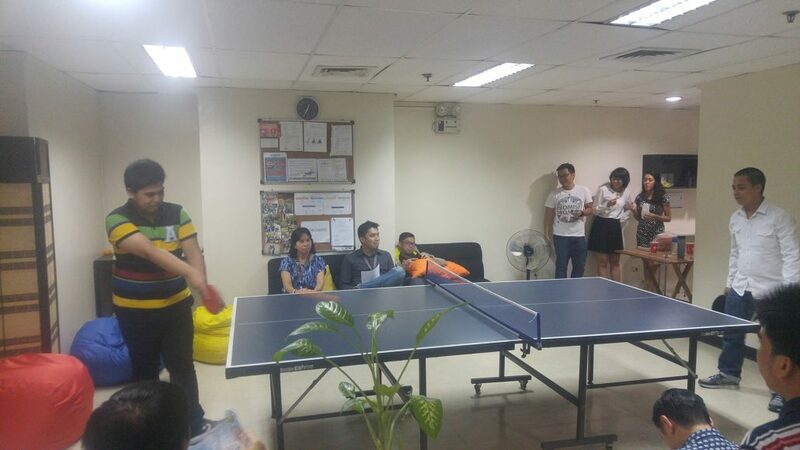 Three games were held, which was graced with the presence of Giselle, Rommel, Edison, Cid, Marvin and Lensey. After a few heated rallies and a landslide, the podium saw Giselle, Cid, and Marvin, proceeding to the next round. 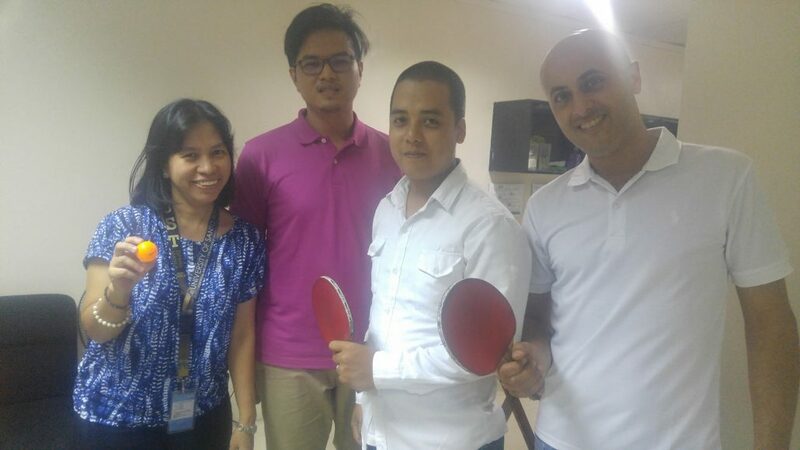 The following batch fastened the games of Rina and Robert, Aerol and Michael, Eilon and Darwin, and Oron and Ian. The intensity of Ian and Oron’s match left the crowd’s jaw on the ground. Fast-paced smashes bouncing across the table clearly suggest that the two are a shot away from a professional title. However, only one can prevail, and Oron seized the opportunity alongside Robert, Michael, and Eilon. 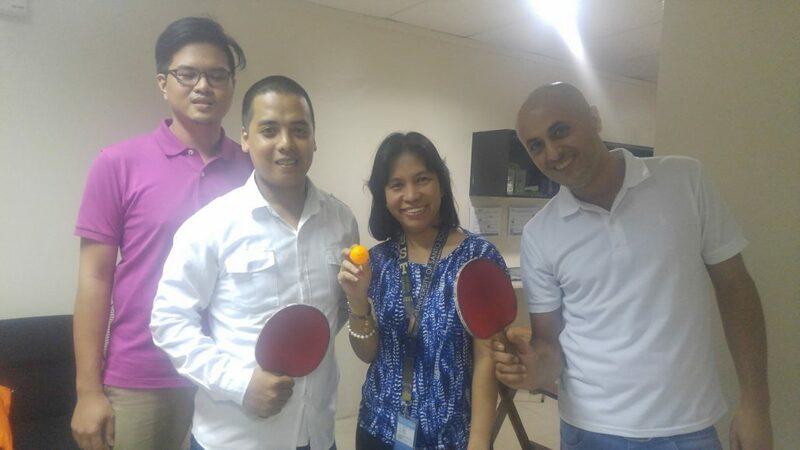 For the third and final day of the first round, it was the games of Kuti & Sam, Jerson & George, Charles & Nora, and Earl & Moran that borrowed the spotlight. The tight matches left no room for error—after all, only one set and 11 points stand between the winners and losers. 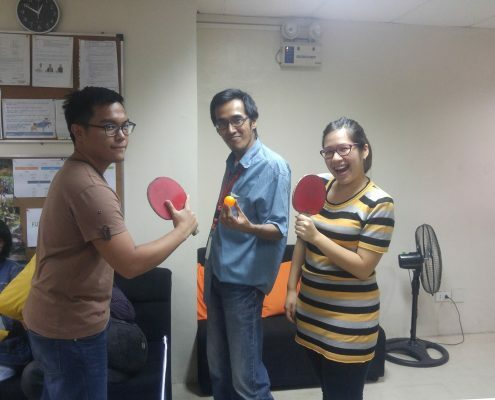 By the end of the four matches, Kuti, George, Nora, and Earl emerged victorious. June 6, the second round of eliminations began. Sadly, Oron and Eilon left before the eliminations started, meaning that a few changes had to be made. Nonetheless, this didn’t take away the enthusiasm of each participant. 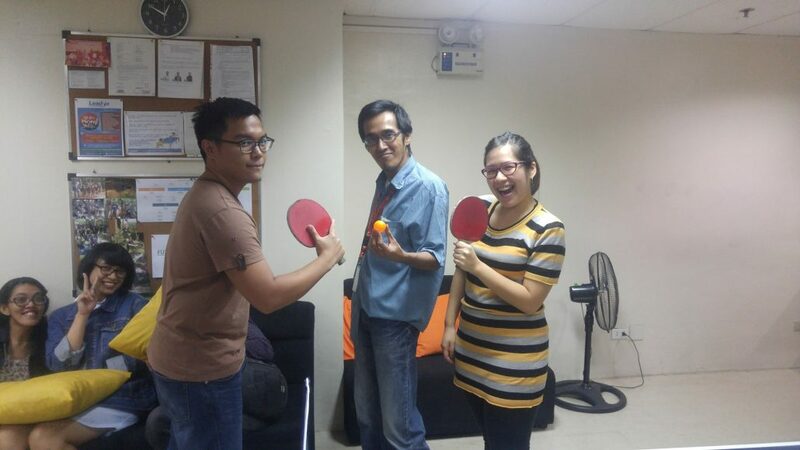 Giselle and Michael took first dibs, while Kuti and Earl were next in line, and George and Darwin to cap it off. Again, these games observed the same 1-set format, which kept tensions at a high. At this stage, going through the next round is like threading a needle, and it is important for every player to keep a cool head all throughout. At the end of the day, Michael, Kuti, and George were the three players who maintained composure from start to finish. Meanwhile, two more games are left for the second round. Cid, Robert, Marvin, and Nora were the four contestants gunning to grab third round spots. Upon finishing two sets of matches, Cid and Marvin filled the remaining spots. The elimination’s third installment—this was where participants had to bring their game up a notch as the level of competition continued to rise. Contestants battled their way through quick forehand hits and crazy backhand drops just to get hold of that championship spot. Due to the odd number of second round winners, there were a few tweaks to the table. On top of this, Grace entered the tournament late in lieu of Kuti. Marvin instantly showed Grace his veteran moves as he paved a path towards the championship match. On the other hand, Michael and Cid still had to settle a score in order to face George. In the end, Michael came out on top and would be battling the tournament’s dark horse. The final game before the championship match was a witness to George’s outstanding skills with the paddle. Without hesitation, George demonstrated his chops in front of the ecstatic crowd and overpowered Michael’s finesse movements. Of course, this tournament would not conclude without a bang, and the matchup between Marvin and George clearly suggested an explosion of thrills and drama along the way. Ultimately, it was George who had the upper hand that day, claiming the tournament’s top spot. Congratulations to George and participants of the tournament! It was indeed a good chance to exhibit the athletic skills of each member of the company, and at the same time, build stronger bonds for everyone. To the top, and beyond!